Poet, Beauty Maker, Jane Lipman delivers crafted, sensuous poems of her seen and felt world, her beloveds, and the Beloved, poems of revelation; tender celebrations of landscape and birdscape. The poems speak urgent, velvet Truth to Power. Grace, gratitude, and then, the quicksilver of the poet's talented wordromp— for the pure joy of it! Ancient Bardic energies thrum here, and the immediacy of the utterly, freshly seen! 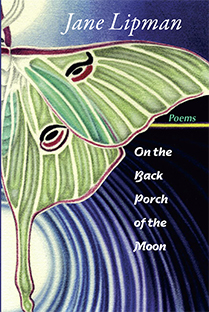 These poems manage a near-miracle: sound, clear language for Consciousness: a new and much needed Spiritual Literacy. I am enchanted by this book of passionate Heartsongs, wise, and well sung. Jane Lipman’s poems gather her wit, intelligence, and wisdom the way honey comes together out of the flower, the bee, and the hive. This eros of intellect and spirit delights my attention. Poems worth waiting for, and you didn’t even know you were waiting, by a poet who has paid her poetic dues by a long allegiance to her art. Teach me gravitas, étude, Haggadah. Teach me à danser sur le pont. along the rain shadow of the Ortiz. bear slumbering under the box elder. grapes—juice dripping down his fuzzy beard. to pass through the portal into Otherness. ‘til I hear birdsong inside the egg.